Learn from thought leaders in interventional cardiology as they discuss novel and innovative therapeutic options for patients with high-risk and complex coronary and peripheral vascular anatomy. Attendees will learn from experts on the use of robotic therapy for complex interventions in addition to better understanding the use of various tools to reduce occupational hazards. In addition, the course will feature live robotic-assisted cases transmitted from the UC San Diego Sulpizio Cardiovascular Center. In a recent abstract, presented at SCAI 2016, Dr. Paul Campbell highlighted the results of a study designed to evaluate staff exposure to X-ray during robotic-assisted PCI compared to manual PCI. During the study, bedside staff saw a 15% reduction in radiation exposure during robotic-assisted procedures. Click here to learn more about how robotics may enable a reduction in radiation exposure to cath lab teams. 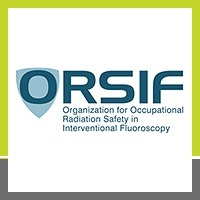 Recently, the Organization for Occupational Radiation Safety in Interventional Fluoroscopy released a supplement to the white paper originally published in 2015. The supplement cites a two-fold increase in publications on occupational hazards in the cath lab year over year, pointing to a significant increase in awareness for the risks cath lab workers face. In addition, the organization debuted a new video highlighting the significant exposure interventionalists and their teams incur over a career. 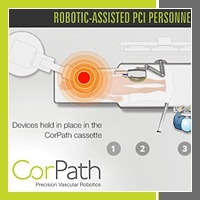 On a monthly basis, we will be featuring a complex robotic PCI case performed by a CorPath user. If you are interested in being featured for an interesting procedure performed using CorPath, please contact your Clinical Account Manager. In this case, Dr. Michael Ragosta was able to integrate ancillary devices into his robotic-assisted procedure for a patient with multi-vessel disease. 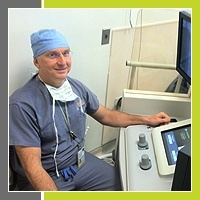 During the procedure, Dr. Ragosta was enabled by enhanced visualization while seated in the CorPath’s Interventional Cockpit, facilitating precise stent manipulation through a tortuous anatomy.